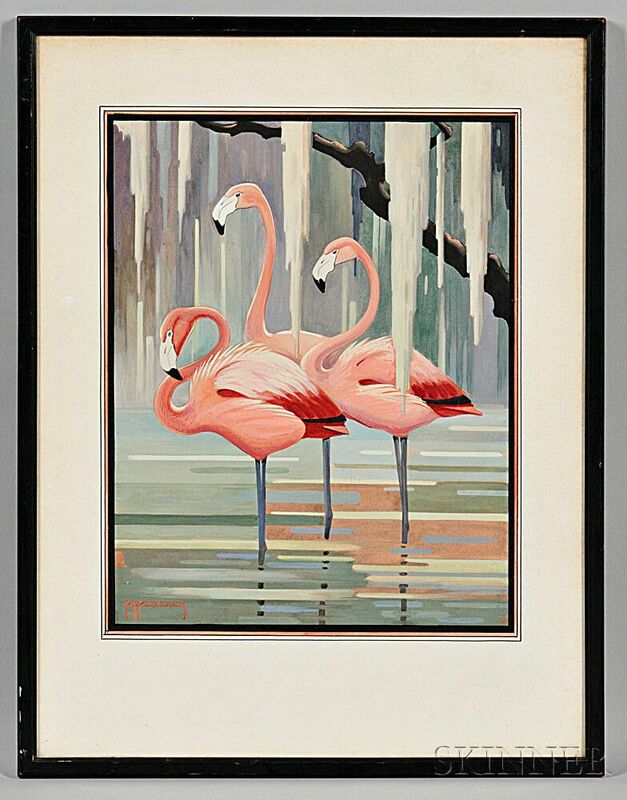 Peterson, Roger Tory (1908-1996) Gouache Painting of Flamingos, Signed. 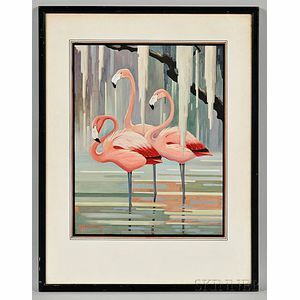 Depicting three flamingos standing in water, with hanging moss in the foreground, signed in pink in the lower left corner, within a hand-ruled mat, framed, 14 x 11 1/4 in. Provenance: Originally presented by Peterson to Phyllis Bergen, who helped with the first edition of Peterson's Field Guide to the Birds, and is thanked in the acknowledgements.